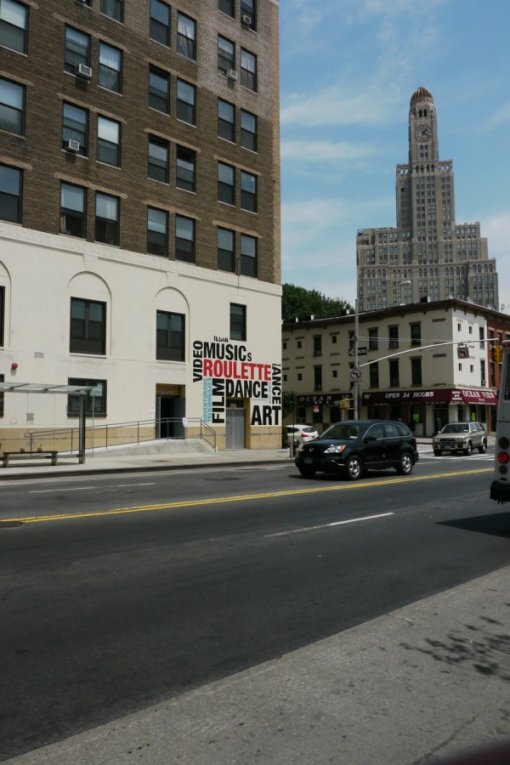 Roulette, the new 7,000 square foot performance and art space and 509 Atlantic Avenue (the old YWCA space at 3rd Ave) is just about ready to open to the public. The newly renovated space will offer two levels of seating for up to 400 people (600 standing), a multi-channel sound system, a massive projection screen for multi-media and film events, state-of-the-art lighting, a modular stage and a specially designed floor to accommodate dance and other innovative performances that Roulette is known for. View the full Roulette performance schedule over here. View a teaser video for the new Roulette performance space after the jump.